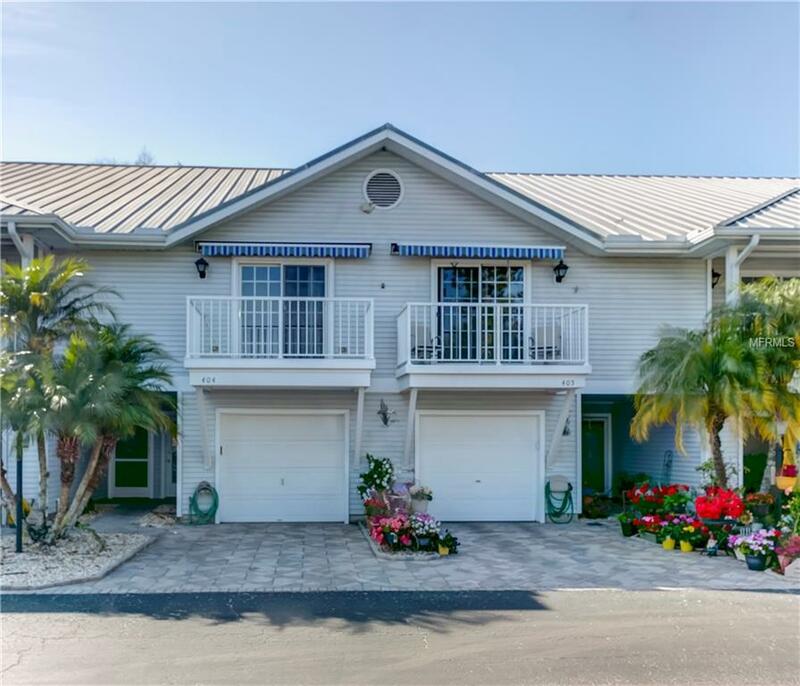 This is a one of a kind furnished Key West style 2 bedroom, 2.5 bathroom townhouse. This 4 level townhouse has been upgraded to include beautiful wood and etched glass doors throughout the home. The custom doors are offered in both pocket and regular styles. Custom closets abound in both bedrooms with etched glass and wood doors. The kitchen is bright with custom designed solid surface counter and built in accordion bread box. Lots of cabinets and drawers. Both the Master bedroom and the guest/2nd bedroom have been extended to double the normal space. You will find custom lighting and fixtures throughout the condo. The extended Master bedroom has lots of windows for plenty of light and a ultra modern bathroom with an oversize glass shower. The large guest/2nd bedroom bath is uniquely designed bright and happy colors. Rounded corners and special window curtains add to the many upgrades in this uniquely designed townhouse. Wood, new carpet and great tile floors. Step out to the open deck that looks out over a wooded area from the 2nd bedroom. There is a wonderful open wood deck/balcony from the living room that overlooks the Resort. This deck/balcony has a great remote control retractable awning for shade or rain. Never worry about parking as there is a large paver block driveway and plenty of guest parking and your own garage with automatic door opener. The garage offers built in cabinets for storage and a large inside laundry room with washer and dryer. Additional Lease Restrictions Consult The Condo Docs And Rules And Regulations Governing Leasing. Amenities Additional Fees All Recreational Amenities/Facilities Are Separately Owned And Operated And Require Additional Membership And/Or Fees To Use. Pet Restrictions See Condo Rules And Docs. Verify With Condo Manager.